I had two dreams growing up, my first dream was that I could dance with my grandfather at my wedding. My grandfather past before I got married, however he came to me in a dream one night and when I asked why he was there, he said “To give you your dance!” The dream was so real, I’ve counted it as so. 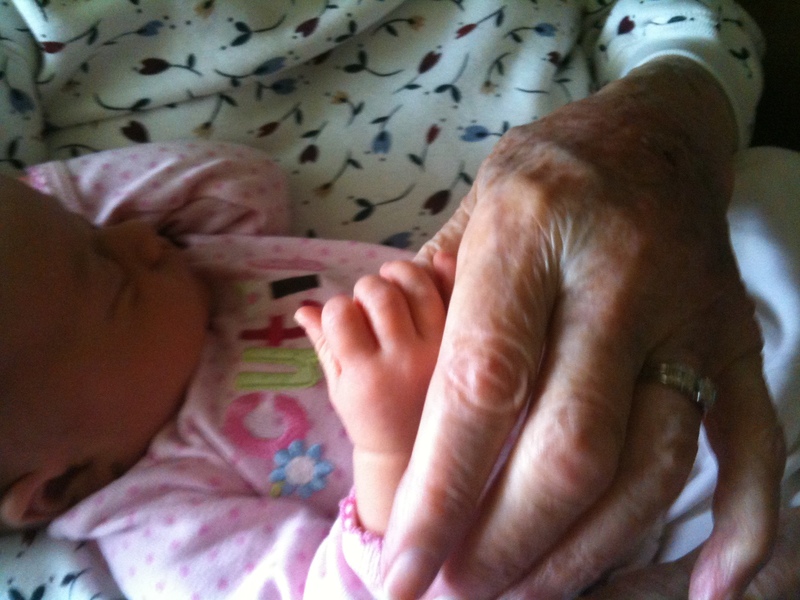 My second dream has been for my grandparents to meet my children, to link the generations of our family. 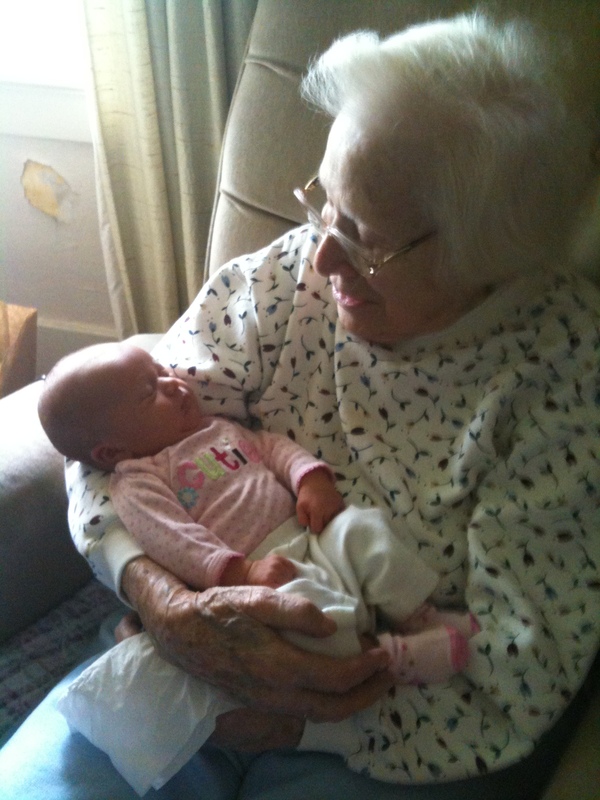 My Grandma still lives in the same house where my father was raised, and to take Ella over tovisit Grandma adds one more layer of memories to that house . 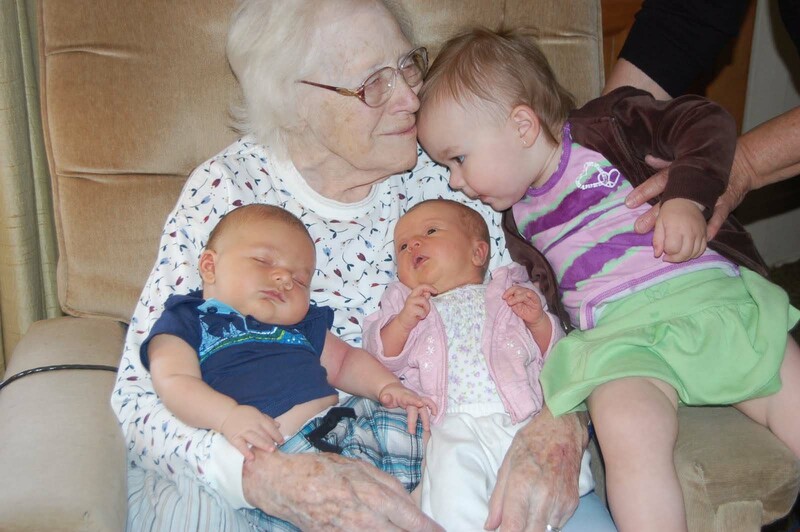 Seeing the smile on Grandma’s face as she holds her great grandchildren is a gift that is truly priceless!